Imagine an evening sky awash in soft pinks, deep purples and shimmering golds. Lush green expanses, vibrant floral beds and cascading waterfalls become a living canvas as the last rays of sun sink below the horizon. When you walk down the aisle and join hands, for a timeless moment, the promise of traveling through this life together as one is realized. 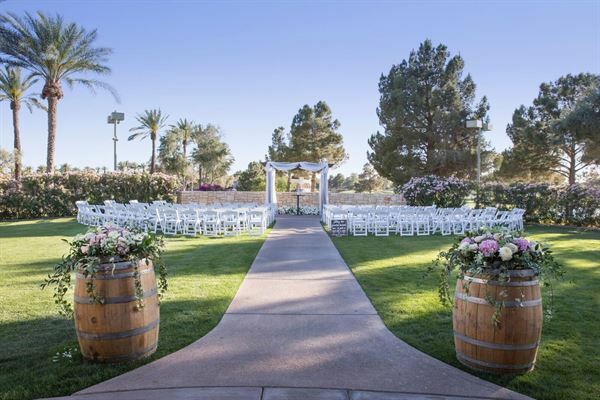 At Ocotillo Golf Resort we offer incomparable wedding ceremony and reception sites. Our affordable wedding packages offer everything to create a day of beautiful, everlasting memories. You can trust that our professional staff will deliver personal and uncompromising service. Imagine an evening sky awash in soft pinks, deep purples and shimmering golds. Lush green expanses, vibrant floral beds and cascading waterfalls become a living canvas as the last rays of sun sink below the horizon. When you walk down the aisle and join hands, for a timeless moment, the promise of traveling through this life together as one is realized. At Ocotillo Golf Resort we offer incomparable wedding ceremony and reception sites. Our affordable wedding packages offer everything to create a day of beautiful, everlasting memories. You can trust that our professional staff will deliver personal and uncompromising service. Love love love, the beauty of the grounds. The unique architecture, sumptuous food, and the attentive friendly staff. I highly recommend. Very affordable.